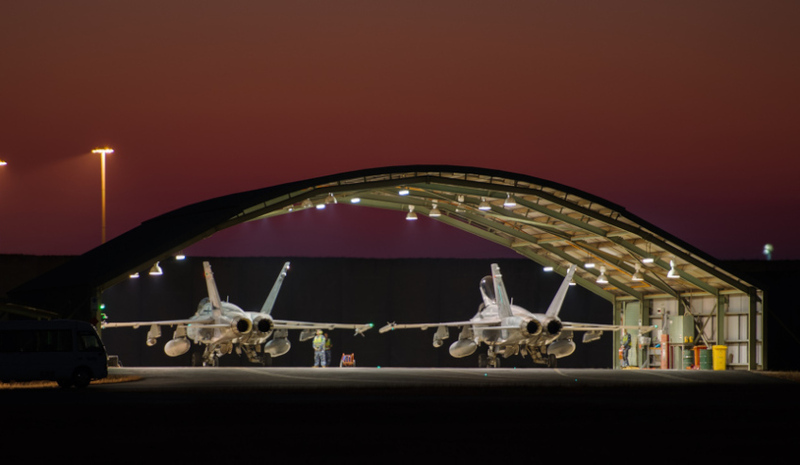 77SQN F/A-18A Hornets sit ready in their ordnance loading areas (OLA's) for night flying operations during Exercise Pitch Black 2016. Image via Commonwealth of Australia, Department of Defence. Defence Industry Minister Christopher Pyne has confirmed India will join Australia and some of its key allies in the 2018 Exercise PITCH BLACK. Minister Pyne made the confirmation while speaking at the National Defence College in New Delhi, India. "Our shared strategic engagements include AUSINDEX, the joint maritime exercise that was held successfully in the Bay of Bengal in 2015. This exercise is due to be repeated off Western Australia in coming months, and will be conducted every two years," the minister said. "To date, this modern bilateral defence engagement has been most closely evident in the maritime domain. But now we look forward to a new dimension in our defence relationship, with India’s participation in this year’s multilateral aerospace event, Exercise PITCH BLACK, to be held throughout July and August." The exercise, dubbed the largest air force training exercise in the southern hemisphere, has taken place every two years since 2006. The original participants included Singapore, Thailand, the UK and the US and grew to include France and Malaysia in 2008. New Zealand participated for the first time in 2010, followed by Indonesia in 2012. The United Arab Emirates also took part in 2014, followed by Canada, Germany and the Netherlands in 2016. The aim of the exercise, which has typically taken place in northern Australia, is to practice offensive counter air (OCA) and defensive counter air (DCA) combat in a simulated environment. RAAF Base Glenbrook in NSW is used as the command and control centre, as it would in a real conflict. While in India, Minister Pyne also represented the Australian government at the third annual Raisina Dialogue to discuss the region’s emerging security dynamics and highlight Australian defence innovation.